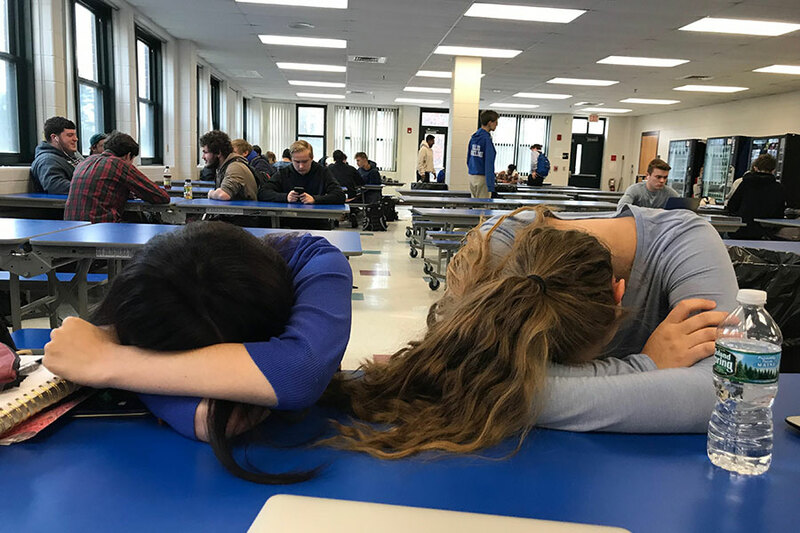 Seniors Mia Fokas ‘19 and Mia Pickard ‘19 take a nap during Cav Block. For seniors, Cav Block is the perfect time to relax, eat, or finish a procrastinated assignment. “If you wait last minute [to finish homework], Cav Block is amazing,” Pickard states. As the school year sets into full swing, the workload for students follows accordingly. For many, it seems as though teachers are assigning as many projects and tests as they can before the holiday season begins. Meanwhile, procrastination and lack of effort, commonly referred to as senioritis, skyrockets among HBHS’ class of 2019 as the prospect of graduation approaches. Many seniors are beginning to give up on their academic efforts during their last stretch of high school. Mia Pickard ‘19 is a current senior and is experiencing senioritis first hand. “[Senioritis is] being lazy. I feel like a lot of seniors think, ‘because it’s senior year, I did my time and now I don’t need to work as hard,’” Pickard said. So how can seniors keep their head in the game for the last months of their high school career? The cure to senioritis is all in maintaining a positive mindset. “The best way to stay motivated is just to show up to school. I always think to myself: just one more year,” Pickard said. It is important to remember that college is approaching soon and working hard now will only payoff in the future. The year can seem daunting, but there are only six months left. It is important that seniors still take advantage of their academic opportunity and stay engaged in the classroom. Although the last six months of high school are just a small portion of life, they can pay off during the next four years. 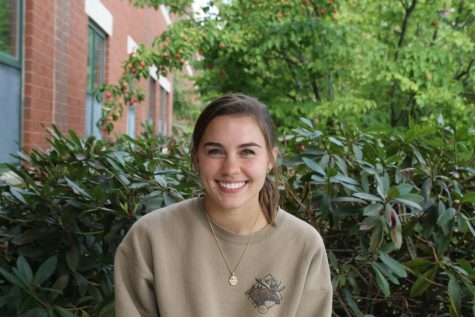 “I didn’t try and got straight C’s because I didn’t think I needed good grades for athletics in college,” says Lexi Ulmer, a current senior at Liberty University. “When you apply for grad school and you realize you had B’s and C’s your freshman year [of college], you regret not building good study habits,” Ulmer states. High school, in its entirety, is an important time to develop skills and knowledge that will help you succeed in college. Elizabeth Kolb, a math teacher at HB, shares similar feelings. “[Senior year] is the best year to learn good study and work habits. In college there aren’t second chances. They’re paying a lot of money and there’s a lot to risk,” Kolb states. It’s better to work hard now than to struggle once entering the higher academic world. Much to the dismay of many seniors, senioritis doesn’t end in high school. For those who decide to attend college for the next two or four years, they can be sure to sense a lack of motivation once again during their senior year. “I still wait to do my homework until [the] last minute and therefore get very stressed out. I could probably do better if I worked on it sooner,” says Ulmer. Senioritis has made a home for itself inside the walls of HBHS. It’s up to the students, however, to decide whether or not they will let it affect their performance.